We are located in “The Valley of the Sun”, Phoenix, AZ area most of the time and spend a lot of our time in Fallbrook, CA (San Diego area). In Phoenix, AZ we live on 2.5 acres. 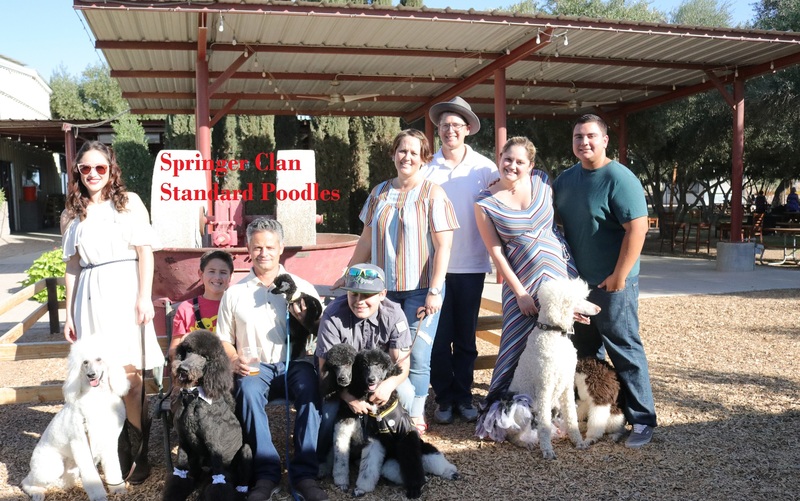 All of our dogs enjoy roaming the majority of those acres in Phoenix, AZ and interact with our five children, horses, cats, and chickens (yes chickens), Guinea Fowl, sheep, and goats, on a daily basis. 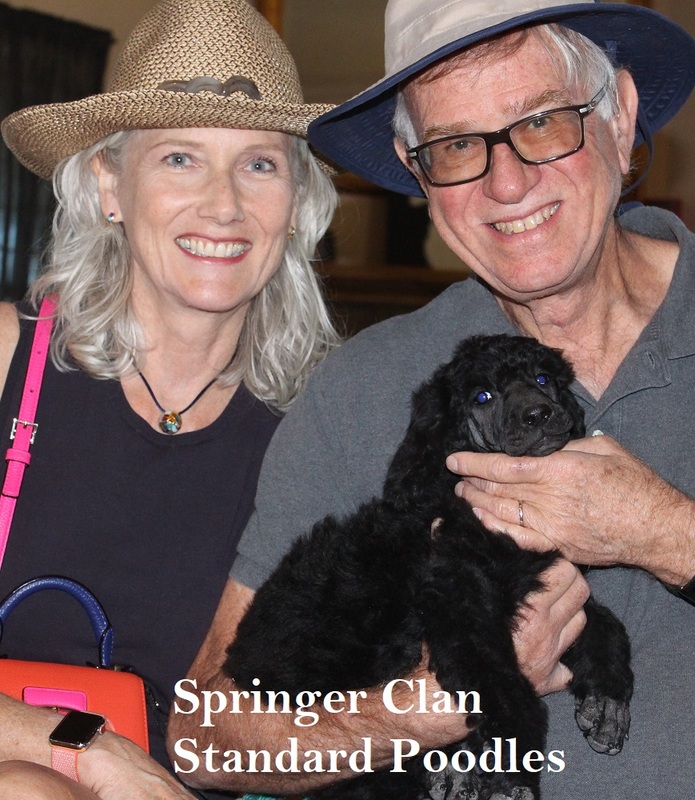 We definitely do not make a living from breeding dogs; this is something that brings us joy and yes some travel funds as well. 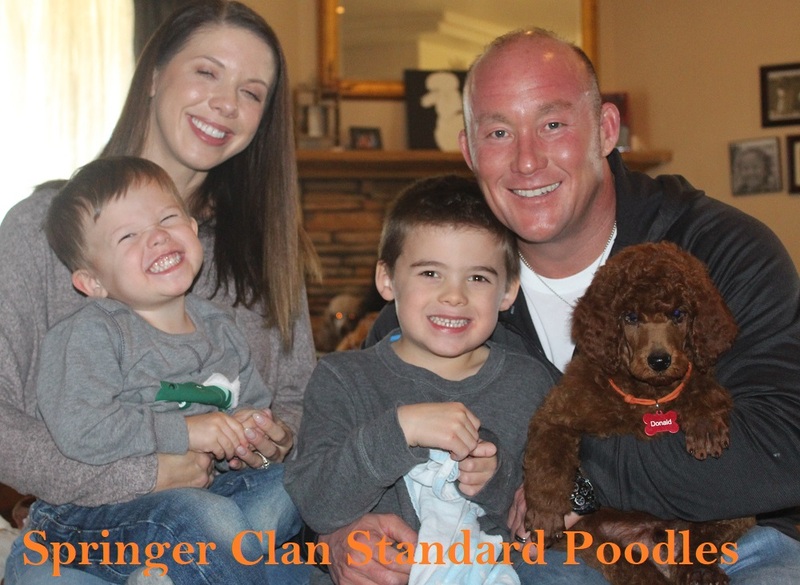 LOL Our dogs are a huge part of our life especially considering that we have 2 sons with Epilepsy who have their very own Standard Poodle Service Dogs. 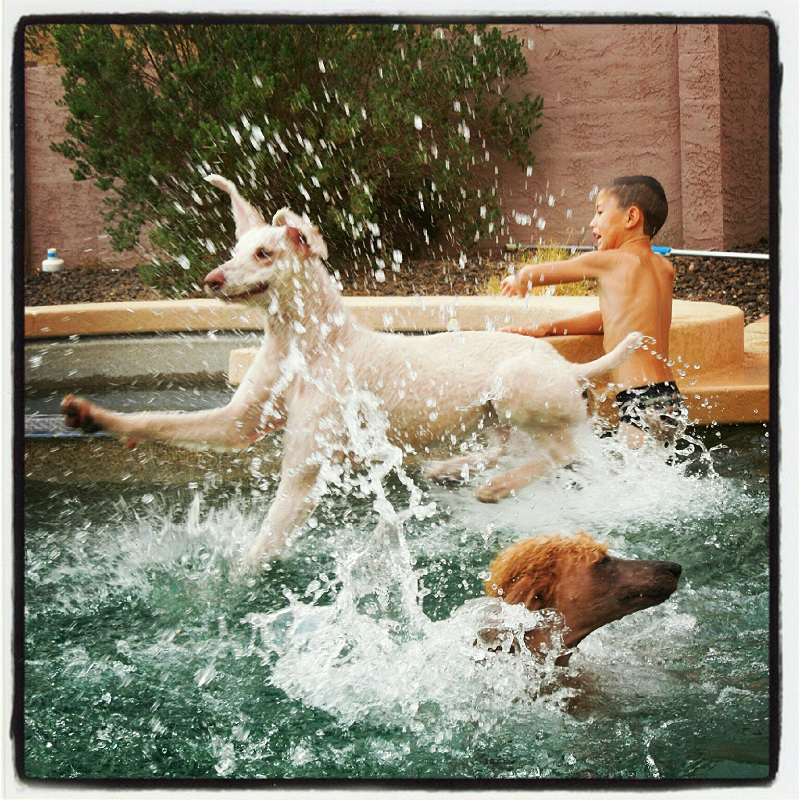 These dogs play, work, travel and do just about everything with us. 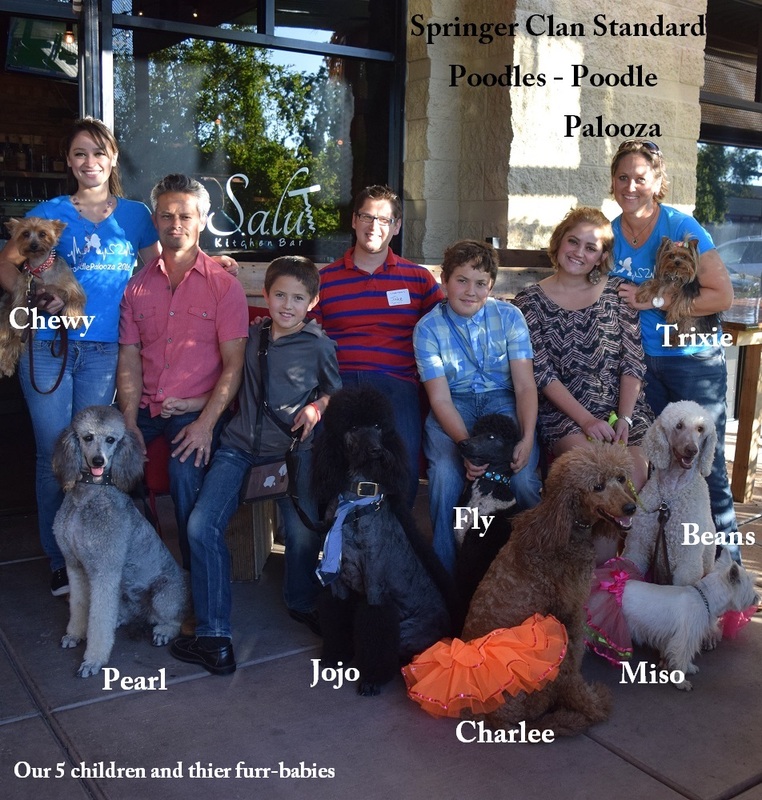 We are a very active family and because of that our dogs are well socialized in many different settings. We raise each of our dogs as if they were going to be a Service Dog. 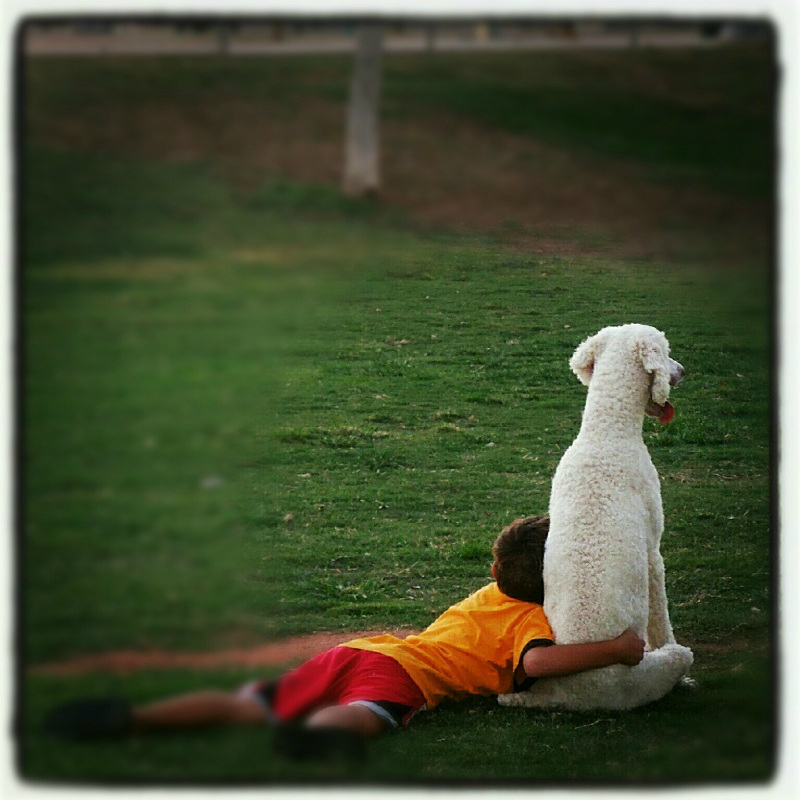 We love the mentality that affords our animals to love and adore humans. With all of this said, breeding dogs is not to be taken lightly since it says so much about me as a person. 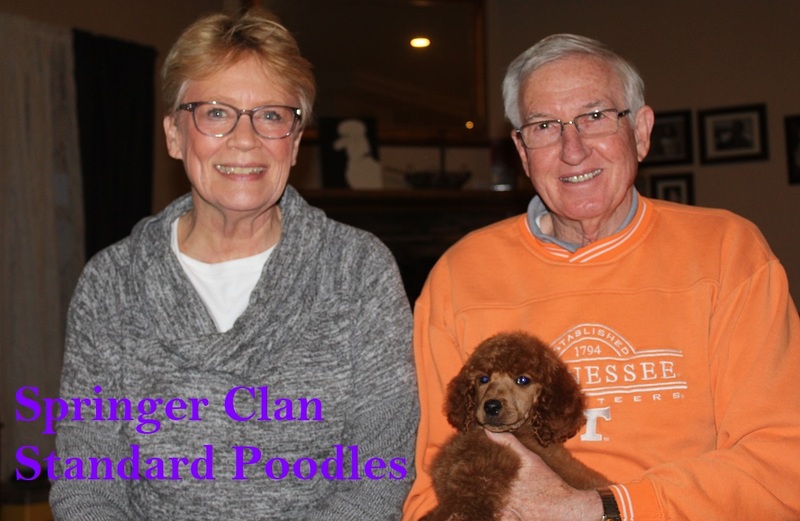 I have chosen to focus on temperament, quality, and health as priorities in my breeding program since I focus on breeding for Service Dog quality as well as a solid and healthy family dog. I do wish I had time to show, however, that will have to be in another lifetime. When I do not have a litter on the ground, I highly encourage you to visit my home. I have an open door policy and believe in transparency which encourages a long lasting relationship with all of my families. 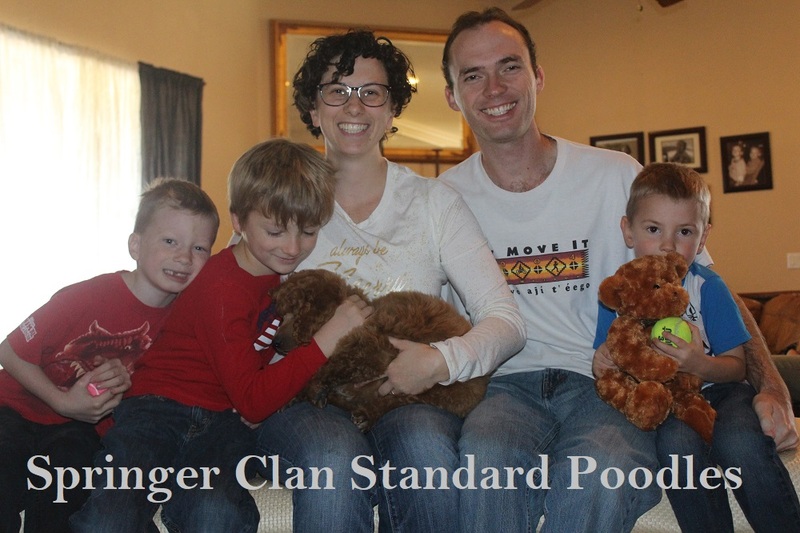 Visiting our home reinforces that we are a clean, orderly family with a down to earth atmosphere. 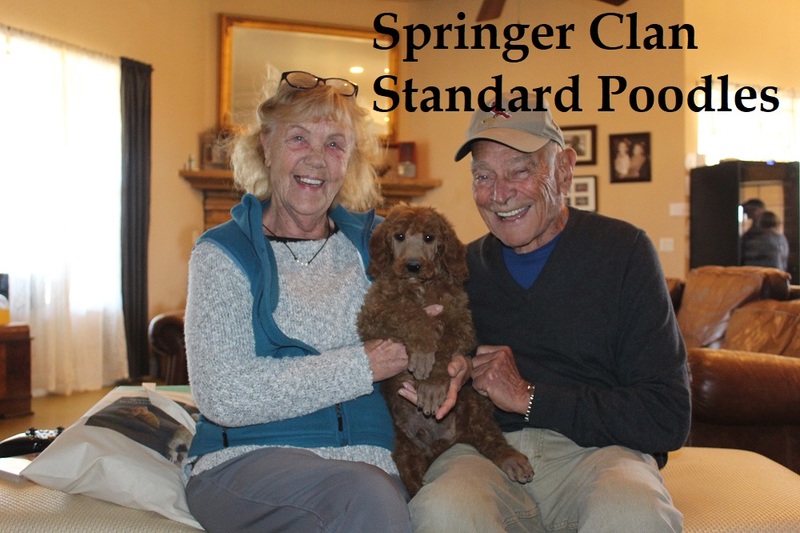 We insist that all interested individuals meet both parents (when possible) of our litters so that you are able to see what your puppy more than likely will be like as an adult. 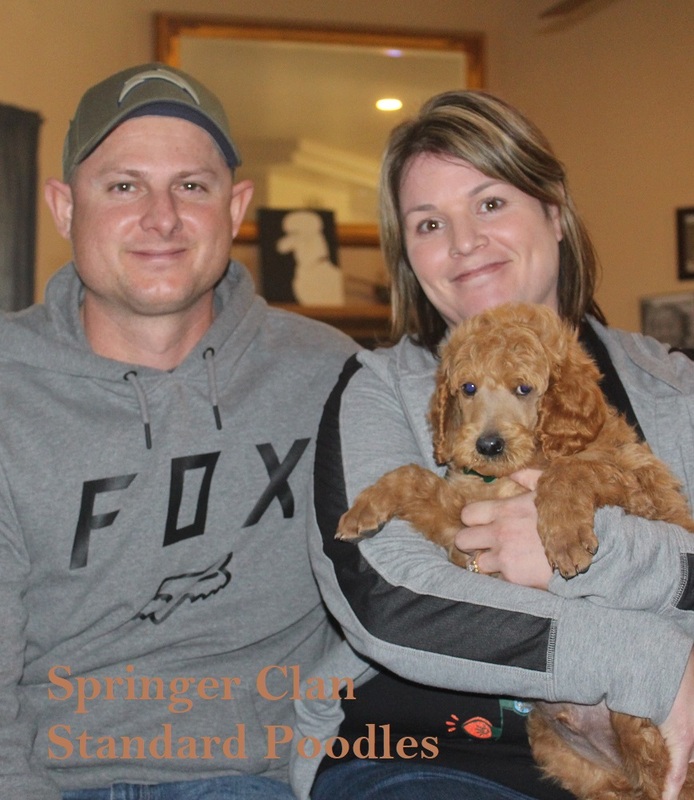 We know that you will be impressed with our family, our property, and our dogs and will take home a Springer Clan Standard Poodle and we look forward to meeting you very soon! 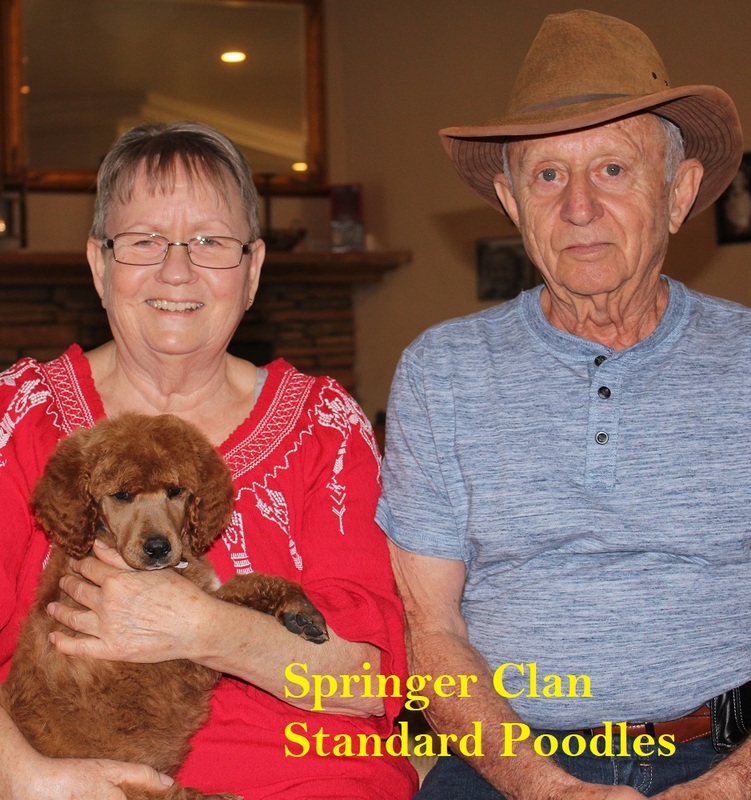 The main concern of Springer Clan Standard Poodles is to produce healthy, intelligent, sound, versatile dogs so they easily fit into your family life and are able to perform any task that you may ask of them. 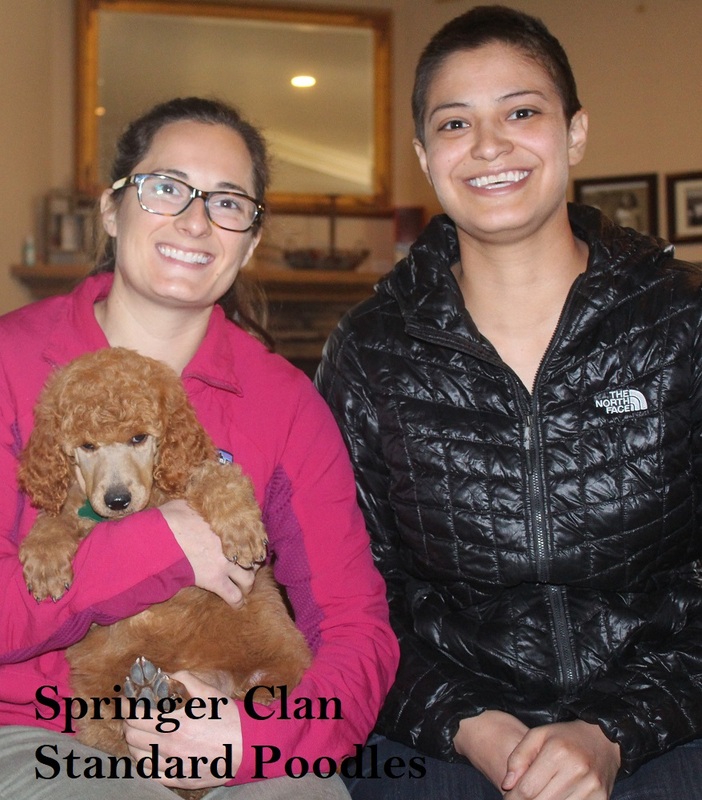 We strive to develop long term relationships with every family that adds one of our puppies to their life, and we take that responsibility seriously! 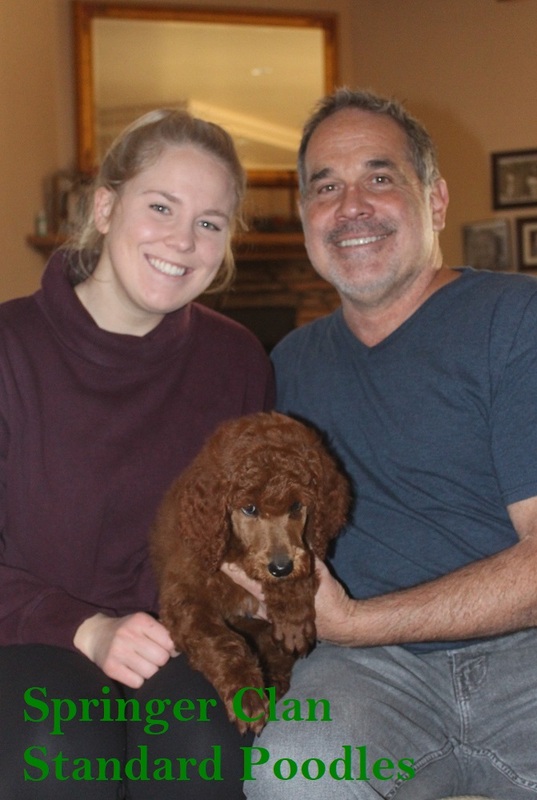 We are here to help you make the best decision when choosing your new puppy and will be with you through the many years after adding one of our pups to your family. 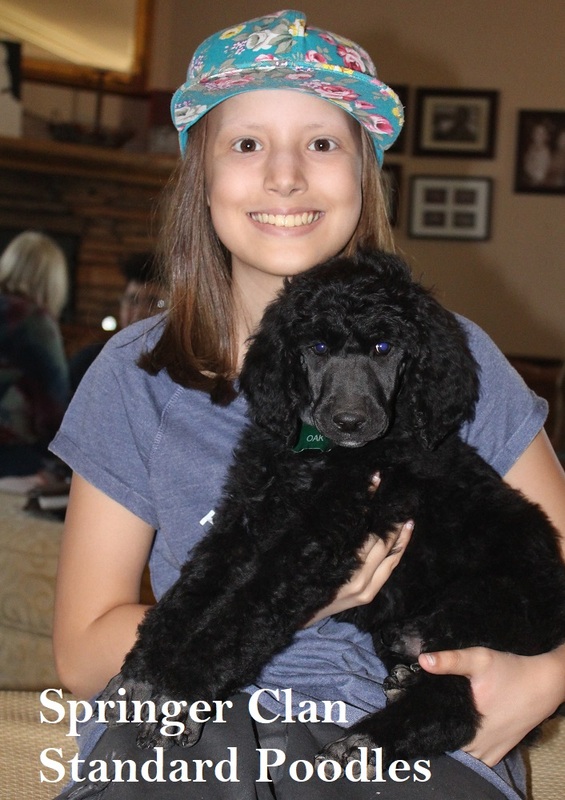 If I had the time, I would show my dogs in AKC and UKC events, however, with running a ranch, homeschooling, caring for 2 epileptic children and so on, it just is not a priority to me to show. 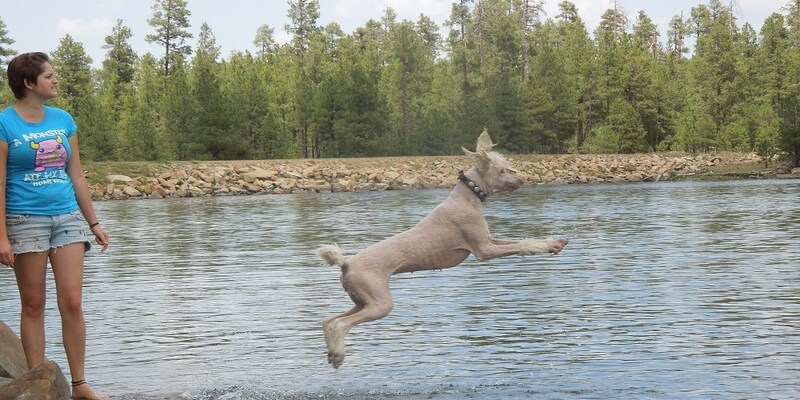 A quality dog….is a quality dog, shown or not. WE DO NOT DOODLE! No exceptions please do not ask! 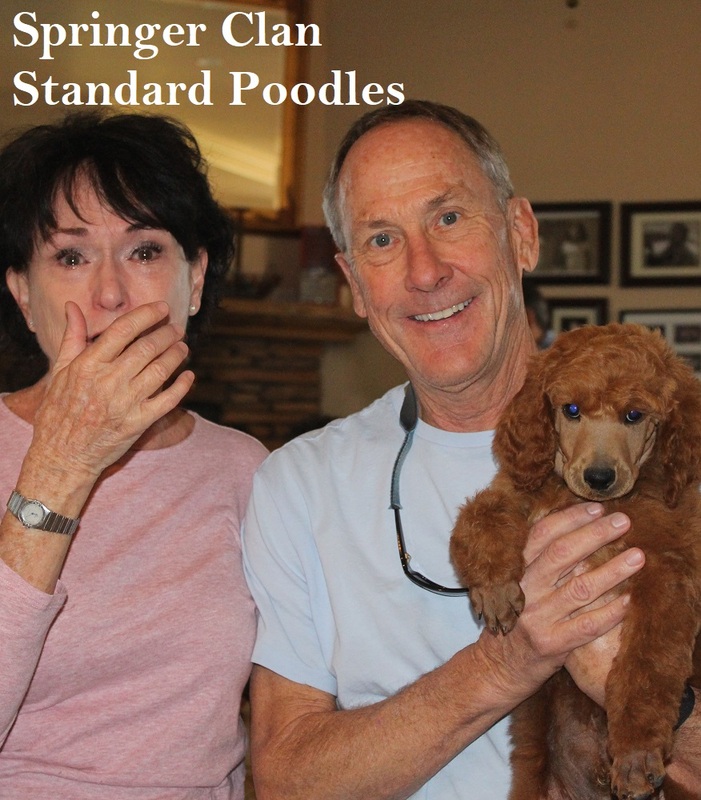 The reason for this firm stand is to show respect for pure bred dog breeders of both our beloved Standard Poodle but also all the breeds that are “mixed” with them. These breeders put a lot into breeding quality pure bred dogs, and not hybrids or dare I say “mutts” that are unpredictable as they mature. I mean no disrespect to those that choose to Doodle, it is a personal choice, and we have made ours. 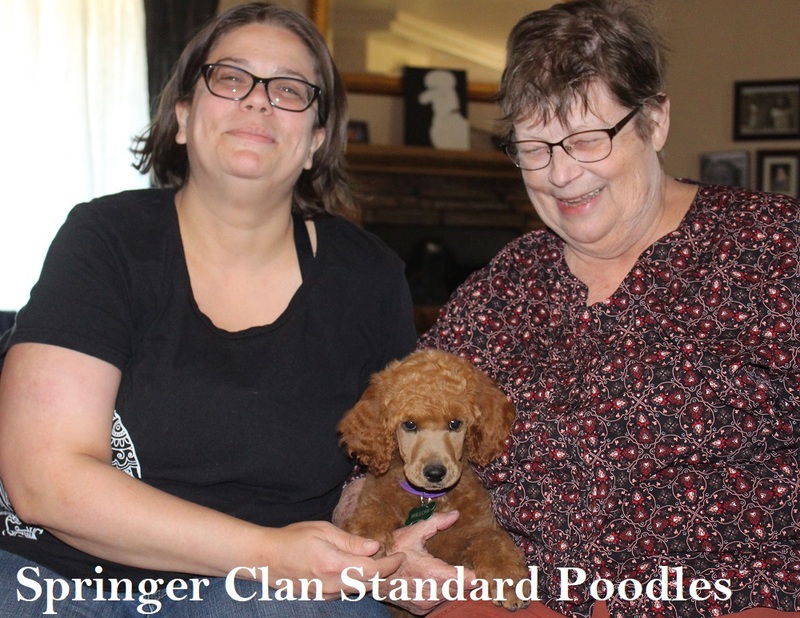 We also rarely sell our puppies for breeding purposes and will NOT participate in ANY “unregistered”, “Lost” registries, Bogus registries (CKC or the like), or “Limited AKC Registration” breeding’s of any kind, so do not inquire if you know your dog falls into any of the above categories. 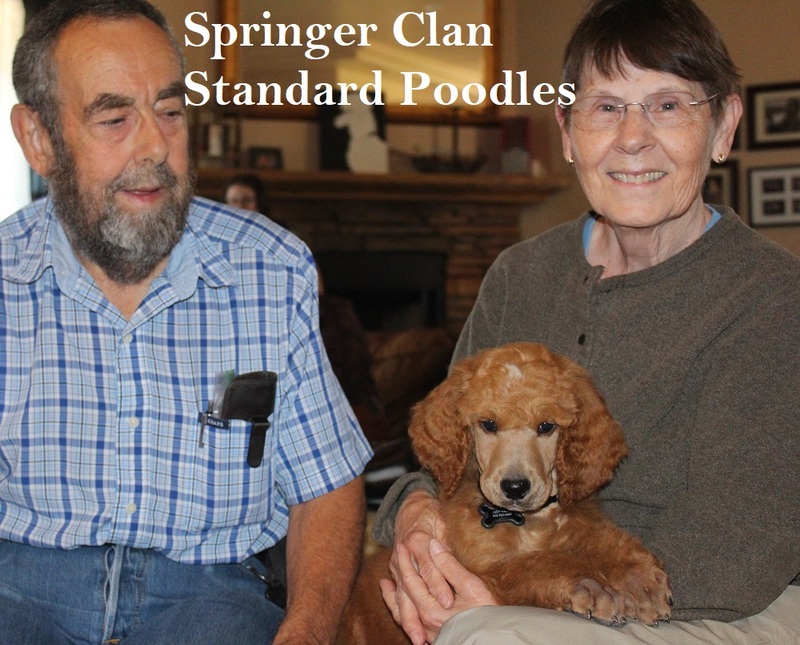 My dogs are dual registered with AKC & UKC, so we will participate in any of those legit breeding’s. A few of the litters produced for our families! 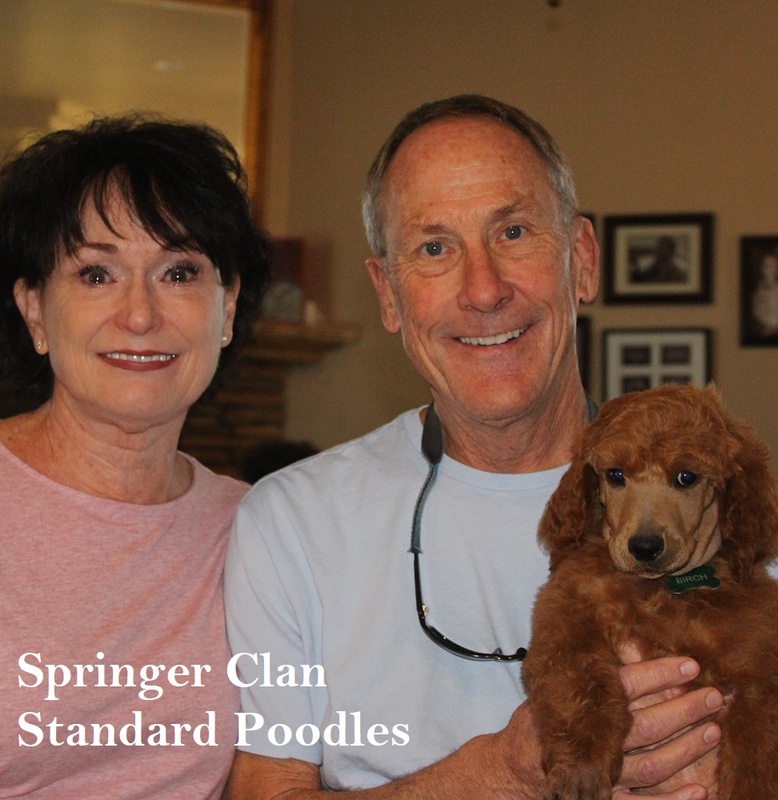 When you purchase a puppy from Springer Clan Standard Poodles you are getting much more than just a puppy. 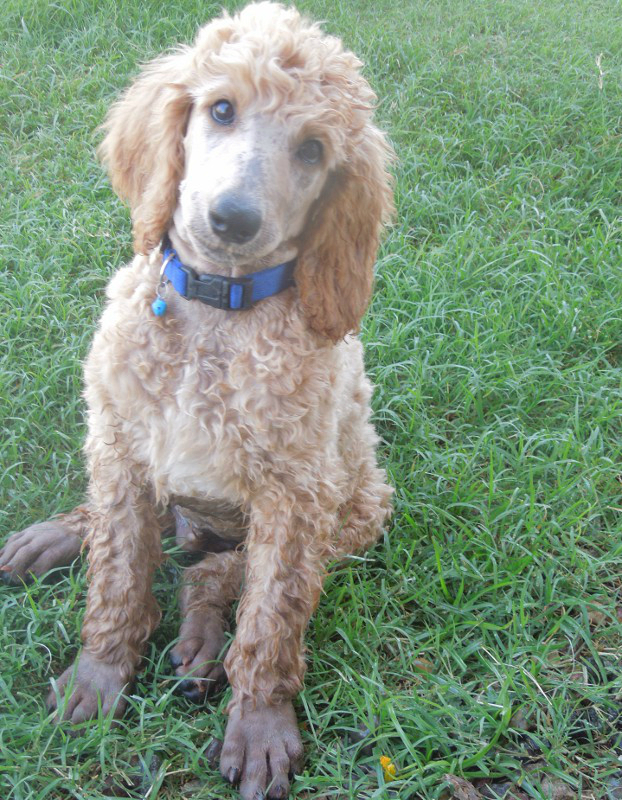 You are choosing a dog bred with integrity and raised with an educated focused training from birth on. 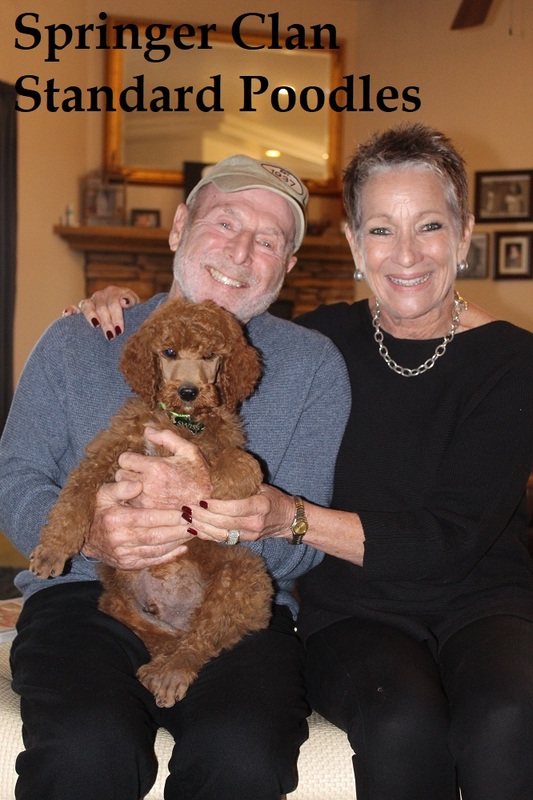 They are loved, and guided using some of the methods found in “Puppy Culture” and some I have devised on my own over the years. 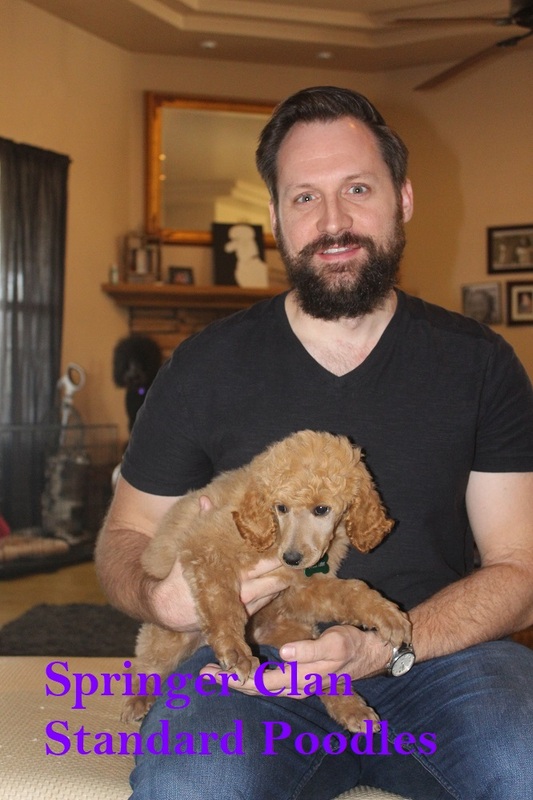 This guarantee’s that you will get a puppy that is not only willing to learn, but more importantly is DRIVEN to learn and please you no matter what you direction you choose to go with your new family member. You really are, in all truth, joining our family. 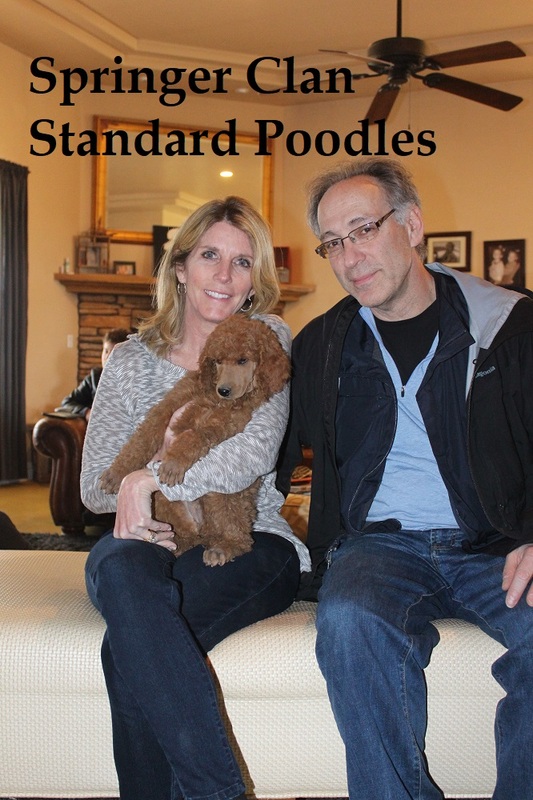 We think that Standard Poodles are the perfect dog for everyone due to their intelligence and adaptability to any family life that they are introduced to. 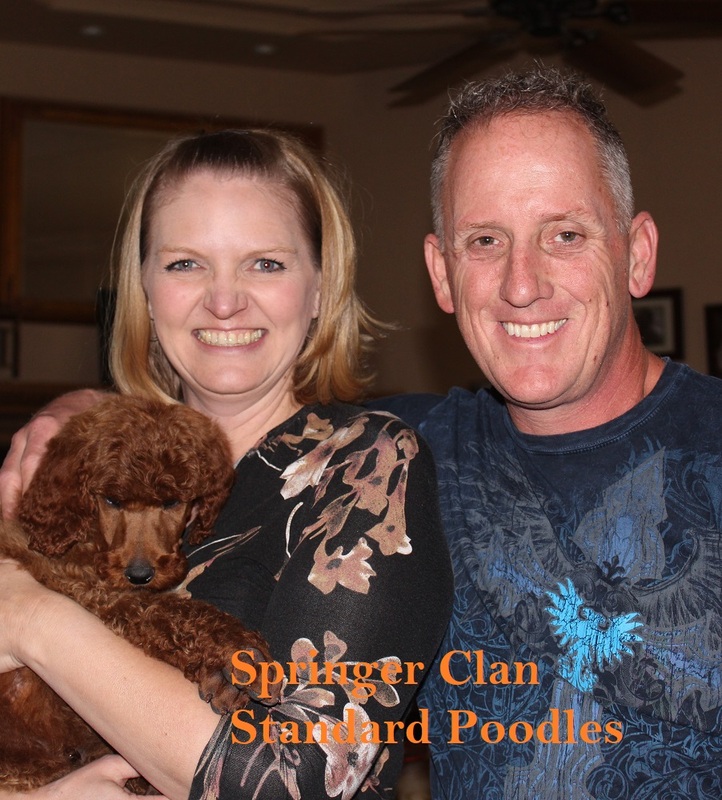 Standard Poodles are naturally smart, as you well know, however Springer Clan Standard Poodles are raised using the Puppy Culture protocol. This has allowed us to focus on raising confident puppies who excel as Service Dogs (in all the different aspects of that work) as well as family dogs that are exceptionally easy to train because they LOVE to learn! They are calm when required to be indoors and yet athletic when outdoors. 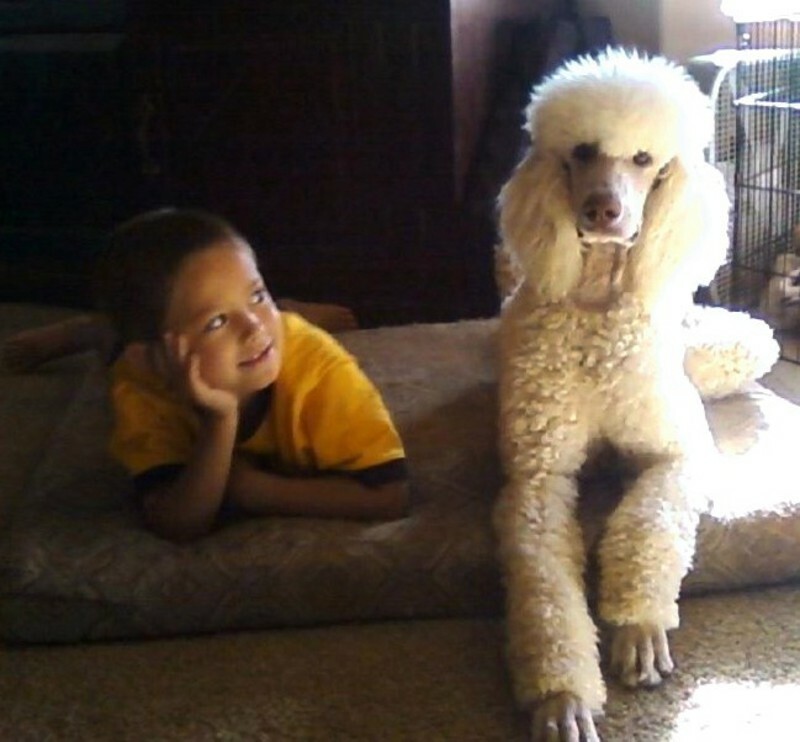 Standard Poodles love to learn and they learn very quickly. They have wonderful temperaments and get along with just about everyone, yet, when they need to protect the ones they love they will not hesitate. 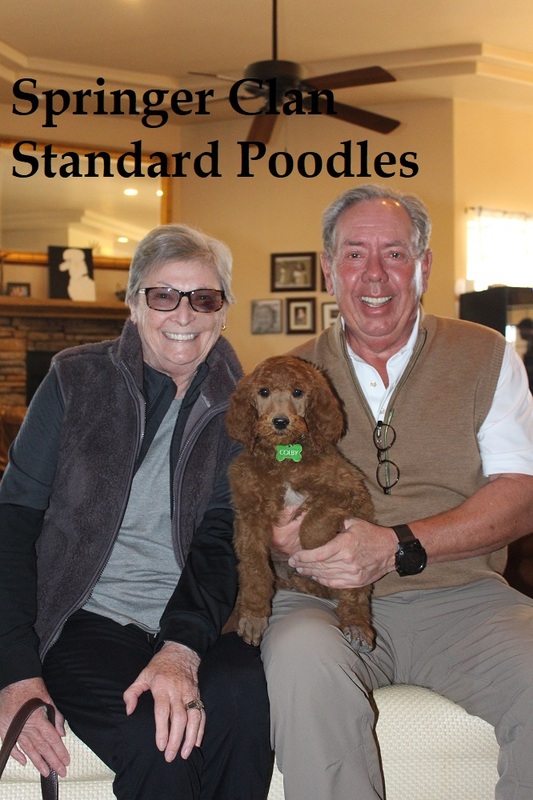 Standard Poodles are labeled hypoallergenic, which means they shed very little and have minimal dander, therefore, they are able to be companions to most anyone who is allergic to animals. 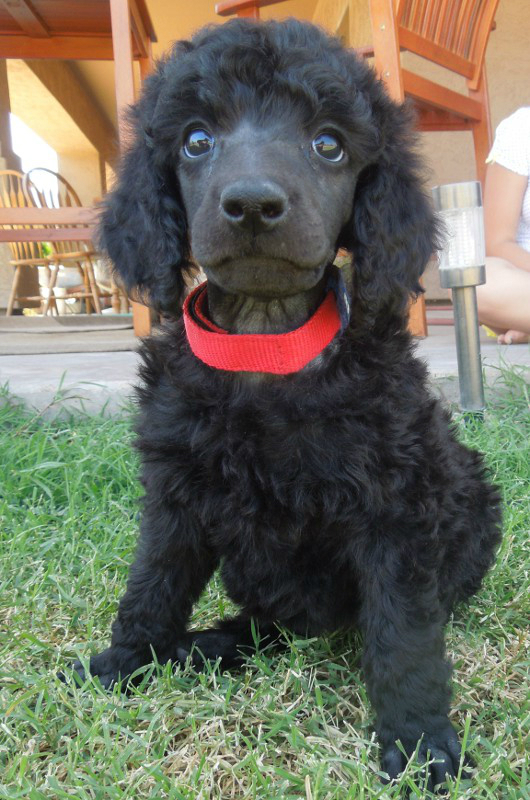 The only exception will be if I have a rescue litter, and even then this will be on an individual litter/dog basis. 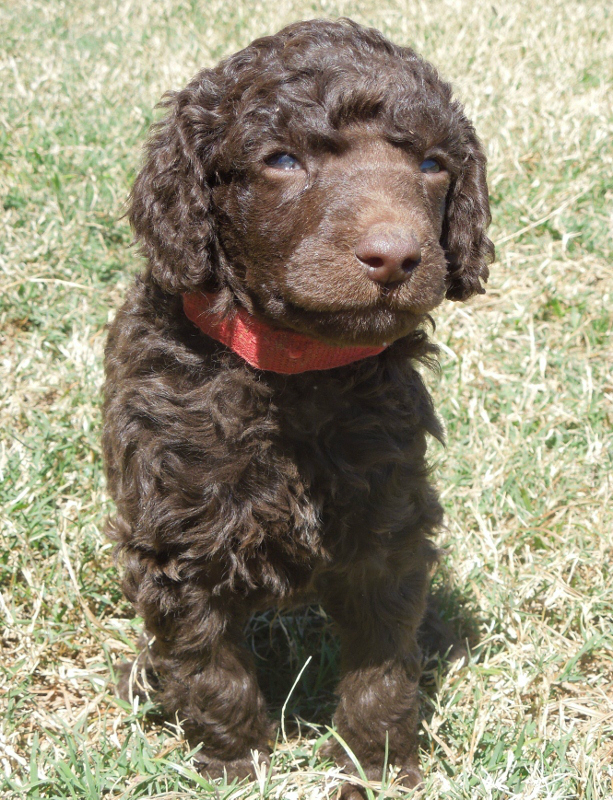 If full registration is worked out between the two parties, the final cost of the puppy is usually double the original price along with a working relationship with us. 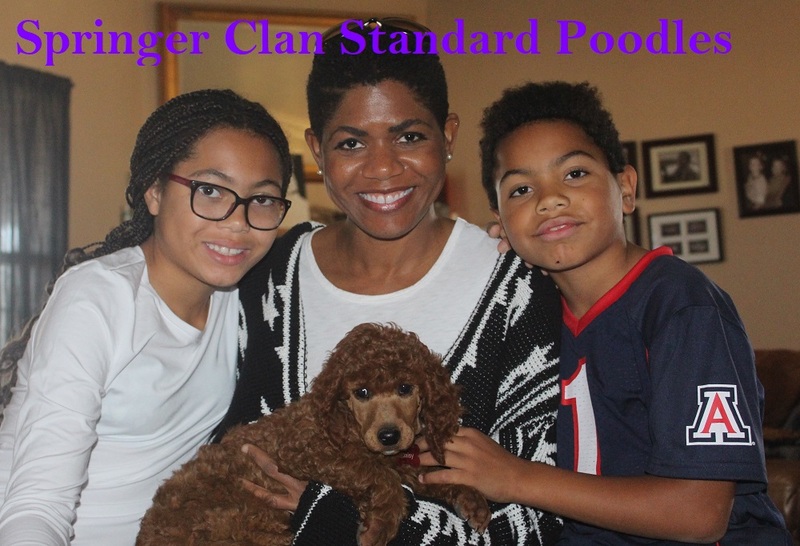 In addition “Limited” paperwork will not be updated to “Full”, until the puppy reaches maturity and has certain DNA and structural tests performed at my and my Vets discretion and passed With all the above said, however, the more refined our lines become, the more “refined” our price will become. This is due to the cost of training, testing (hip, testable diseases, coat colors, (thyroid, eyes, heart done by my vet NOT OFA unless my vet recommends such tests), care (veterinary costs, feeding, shots, pre & postnatal care and grooming), breeding, and marketing this is just a fact of life no matter how frustrating it truly is. 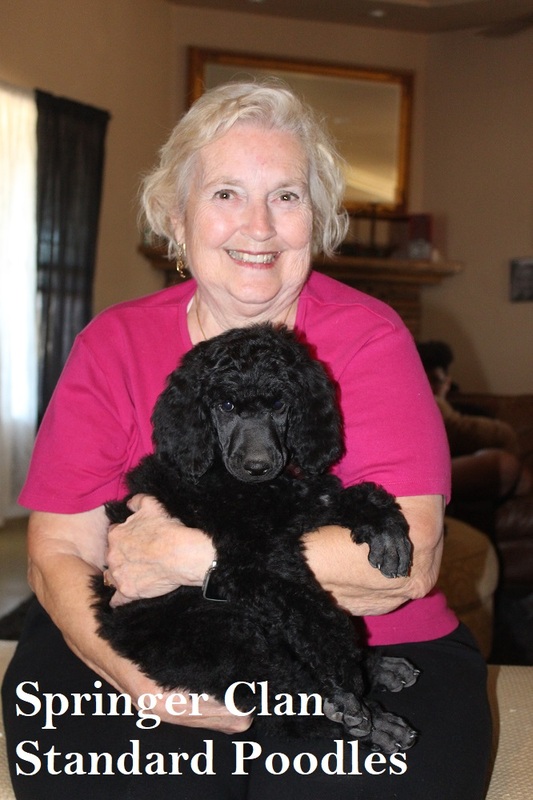 The older a puppy becomes the higher the price becomes since they will be neutered / spayed, and they will have much more training when they are taken from my home to yours. 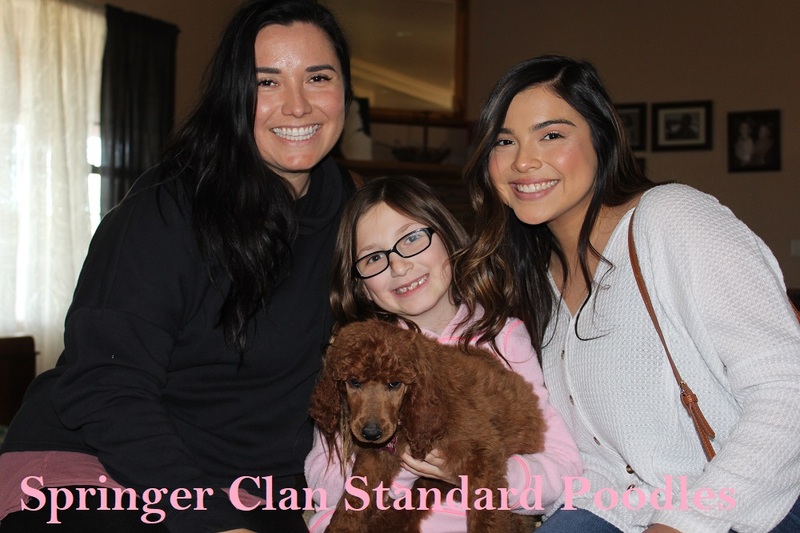 Socialization: To see our family socializing the pups – check out our YouTube videos you will be laughing the entire time! 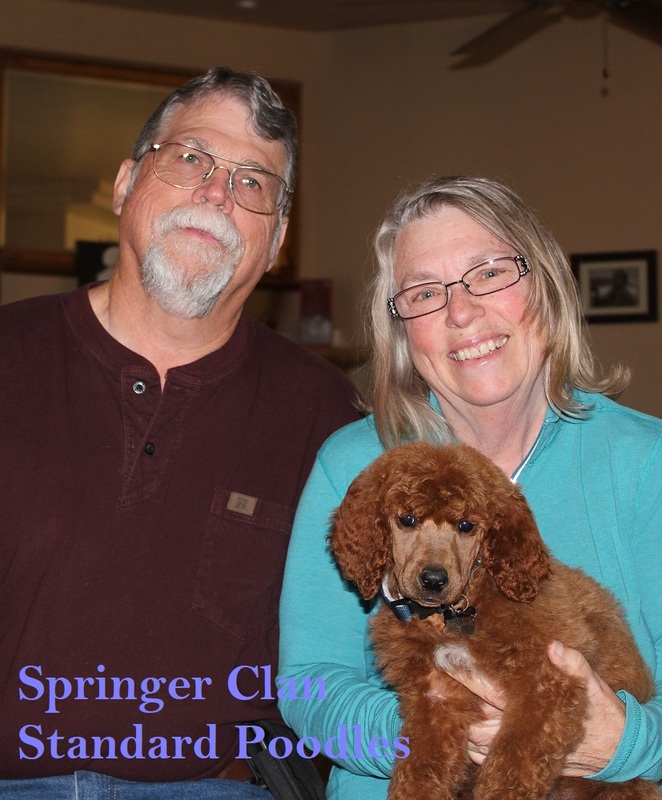 From Birth until they go home, puppies, are raised using the “Puppy Culture” method as well as training techniques we have developed over many years of breeding and raising pups. 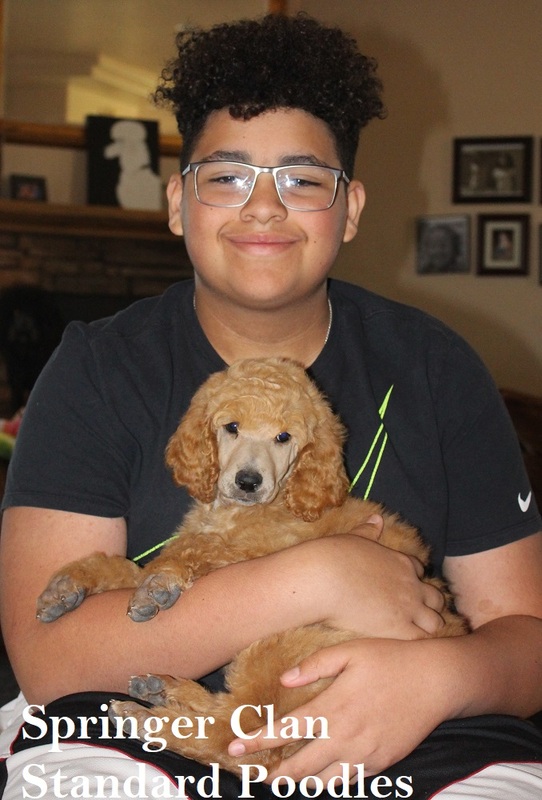 Puppies are handled daily (by infants, young children, teens, and adults) from the moment of birth until the day they leave our family to join yours. Puppies are exposed to cats, horses, goats, chickens, cows at times and our other dogs daily and learn to get along with everyone. 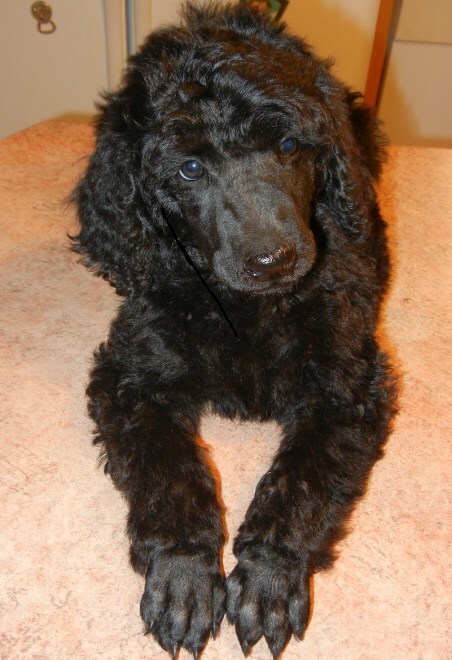 By the third day all puppies have their first examination, tails are docked and dew claws removed by my vet. We allow puppies to nurse as long as the mother remains healthy. This gives every puppy the best start in life. Every litter is protected from communicable diseases by allowing no one outside our family or those with deposits near them until one week after their first series of shots. 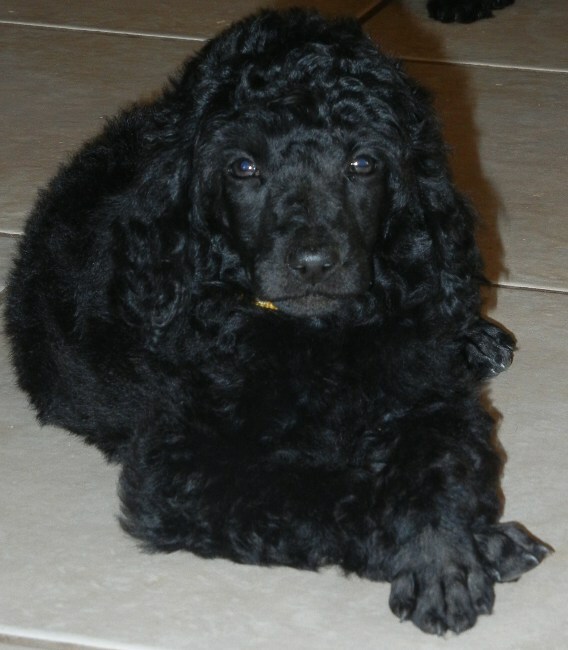 All puppies are given a series of shots at 6 and 8 weeks of age. Every puppy is wormed before going home with their new family. 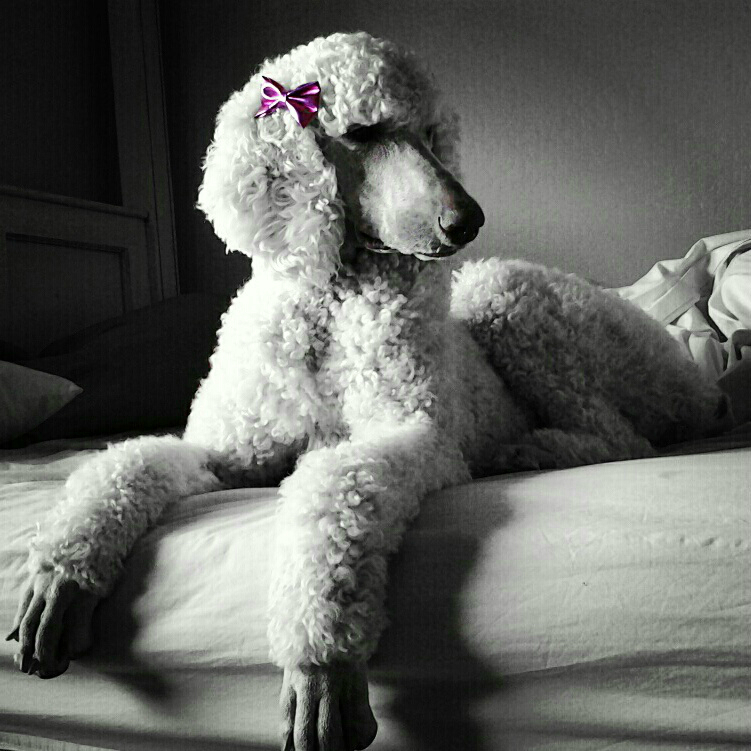 Since Poodles will be groomed their entire life, we begin at birth by getting them accustomed to being handled. 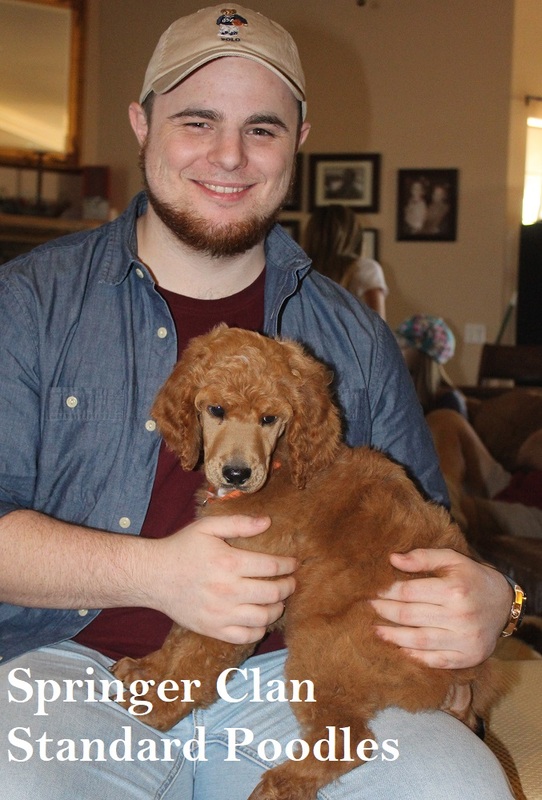 At four weeks old puppies are introduced to the process of grooming by having their face and feet trimmed, and will be trimmed weekly thereafter. We have children in our family and friends who regularly visit, and therefore all puppies are taught early on that jumping on and nipping at people is unacceptable behavior. At birth we begin neuro stimulation which increases brain activity and is proven to create the building blocks of smarter and more confident pups. By 4 weeks old we begin playing Puppy games during feeding time which teaches pups self control, patience, observance, and respect for human boundaries. They are taught to respect boundaries early on by not “Rushing” anyone who opens a door to let them in or out, or go in puppy pen and clean up poop. Whining and unnecessary barking (telling humans what to do) is nipped in the bud quickly. During hot/cold months puppies spend a lot of time indoors and are given a boundary to respect. (usually a throw rug or dog bed) Puppies learn very quickly not to cross that boundary. Sometimes at 7/8 weeks of age we lay the foundation for crate training by penning them all up together for their protection at night. We crate three puppies per large crate overnight. This allows them to feel comfortable with litter mates at their side and soon learn that crates are not a punishment but a haven. Sometimes it is just too hot for this and skip it! If (rarely) there are any pups remaining with me past 8 weeks old, we begin to crate them individually and work on leash – price goes up NOT DOWN, for this training…something to think about. 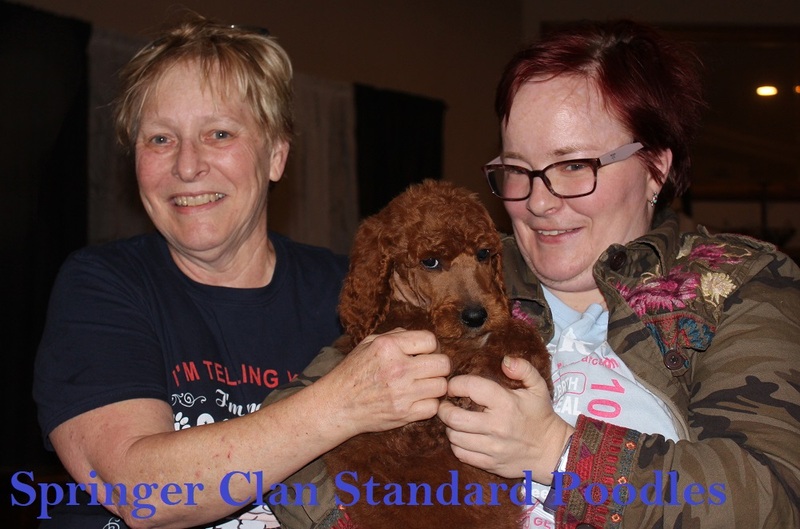 Included AKC Fees with the purchase of your puppy (at full price) is the cost of registration to AKC, this is the breeders responsibility to mail to AKC or UKC. 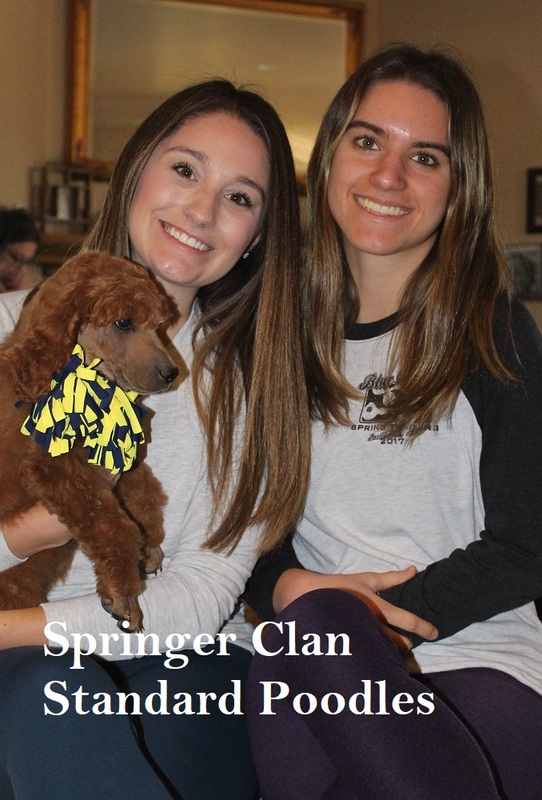 You will choose your puppies name, yet all our puppies will carry the prefix of “Springer Clans”…. after which will be added your chosen name. Included Micro-chipping with the purchase of your puppy (at full price) is the complete micro-chipping of your puppy and fee’s associated with the registering of the chip with AKC Reunite. Photos of the Sire & Dam along with ancestors as far back as we have available. All our contact information so that you are able to have any questions or concerns addressed. 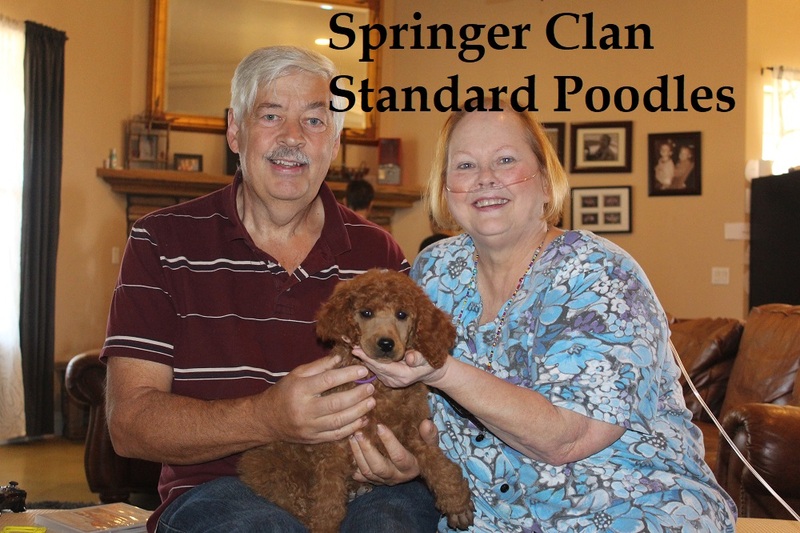 We choose to have a limited amount of litters each year, sometimes the litters fall in the first or second half of any given year, all Future Planned Litters will be posted on that page. 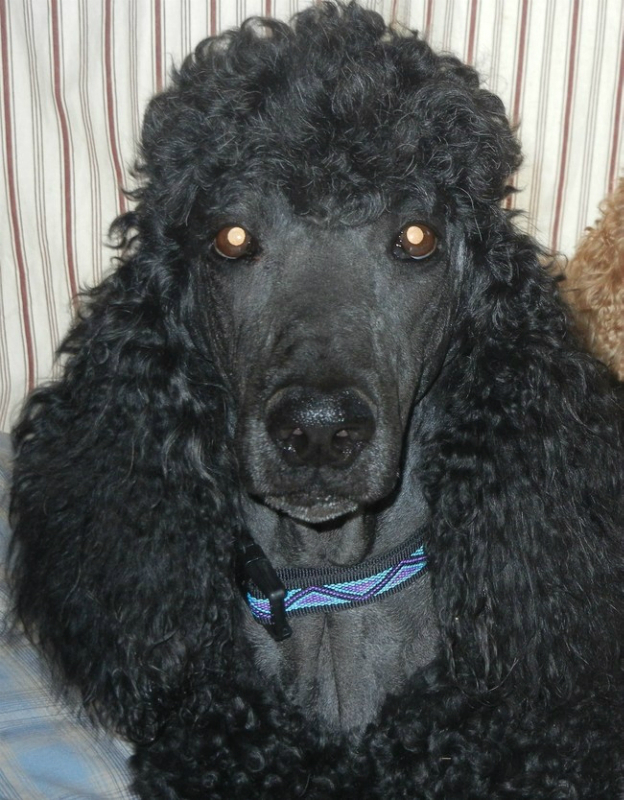 At times we do have rescue Poodles available and some have had “Unexpected” litters. 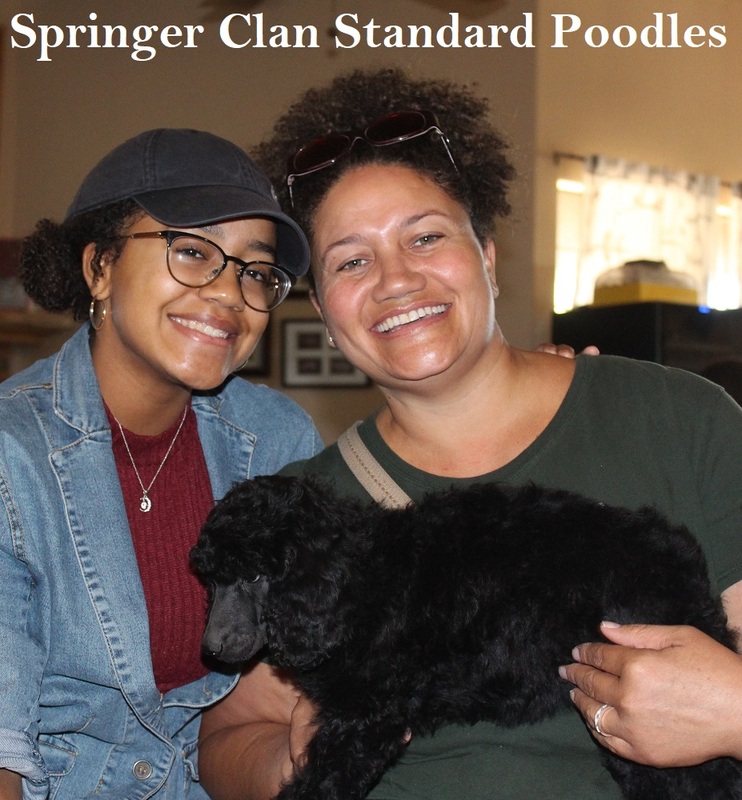 We do not include these as part of our Breeding Program, yet will include these and any dogs that are born to our family in our Warranty Program and will be raised in the exact same fashion as our very own dogs. Crate that the puppy can stand up, turn around, and lay down in. 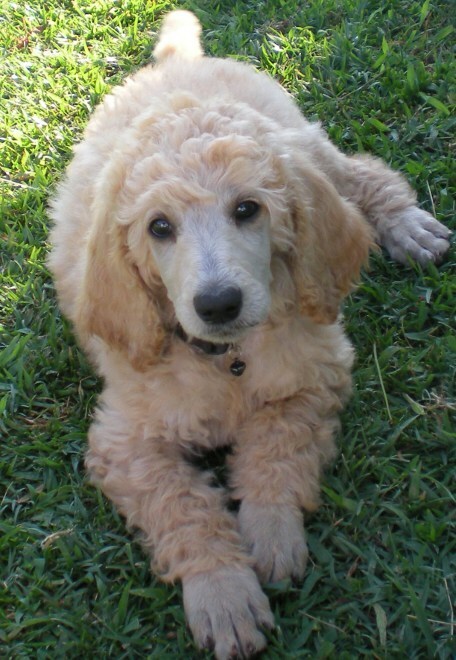 For Carry on pups an additional $10.00 will provide a sedative…not for shipped pups. We also offer a ground delivery service for the convenience of those who can not pick up their pup. Price does vary, however as an example, from my home to San Diego, CA is $250.00 (10 hours of driving), delivery from my home to Tucson, AZ (city of Tucson NOT the outskirts) would be $150.00 (6 hours of driving) to your door. You can contact me to take advantage of this option. 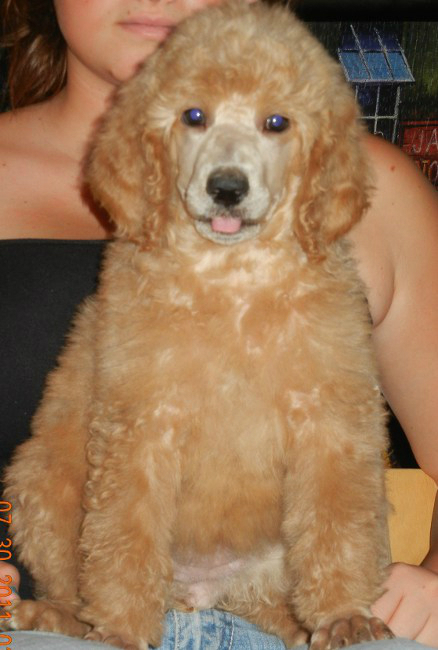 If a puppy is older than 8 weeks old, the cost increases dramatically due to size and weight issues. 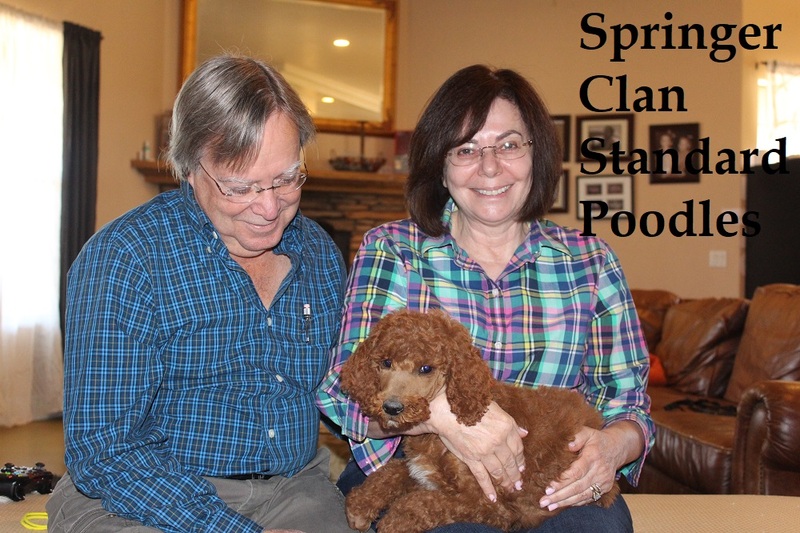 It is best to reserve your puppy and make flight arrangements ASAP. 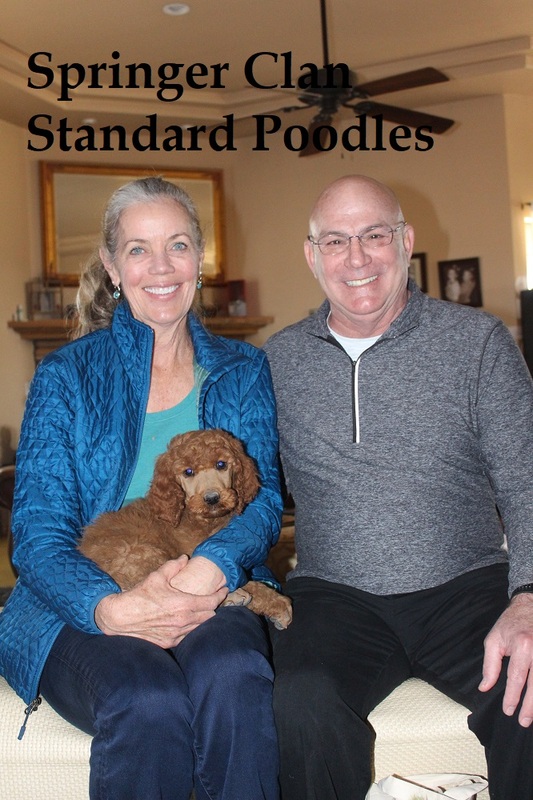 We will only sell to those that we deem to be responsible owners who will make a life-long commitment to love and cherish their Standard Poodle. We rarely will sell to breeders but it is NOT out of the question. If you wish to begin a working relationship with SCSP, contact us and let us know your plans.